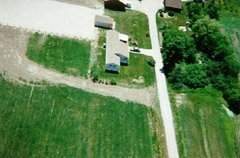 These are some aerial photos I took with a 110 pocket camera attached to the side of my electric Sig Riser 100 sailplane. More details on the plane and camera can be found in my article, A Collection of Aerial Photos. 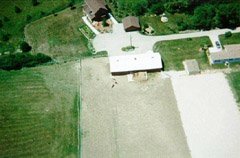 These are some of my earliest attempts at R/C aerial photos, and they are now a bit outdated, since we’ve expanded the barn and built a new riding arena since the time these were taken. 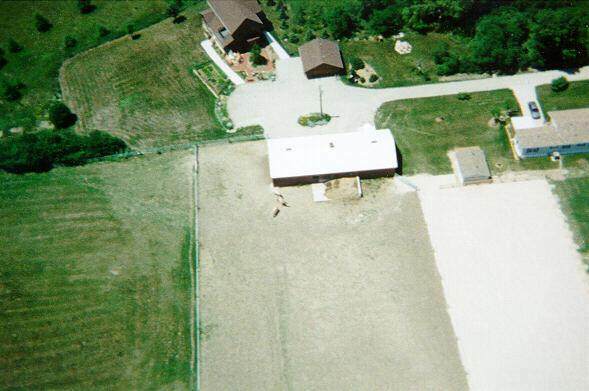 A view of our barn from about 500ft. You can see three Norwegian Fjord horses just below the barn there. 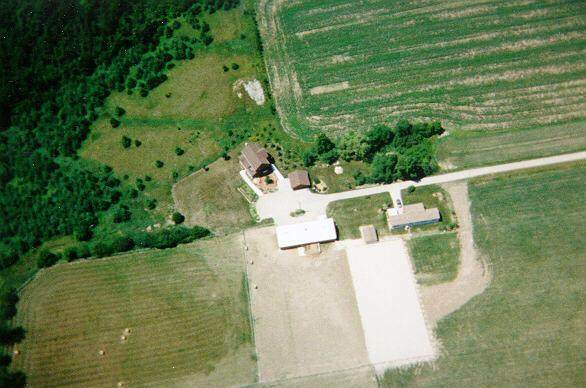 This is our house, garage, barn, shed, and my Mum-in-law’s mobile home, from about 1000ft. Here’s a view of the mobile home and shed looking south, from about 500ft. You can see the end of the barn at the top of the photo. I’m visible at the left side, half way down the photo. The large whitish area is our riding/driving ring. 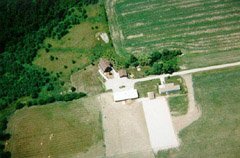 This is our house and garage, from almost directly overhead from about 500ft. 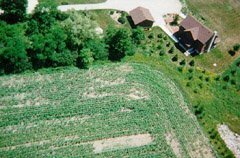 You can see our stroll garden to the right of the house, and our vegetable garden below the sidewalk. Another view of all the buildings, again from about 500ft. 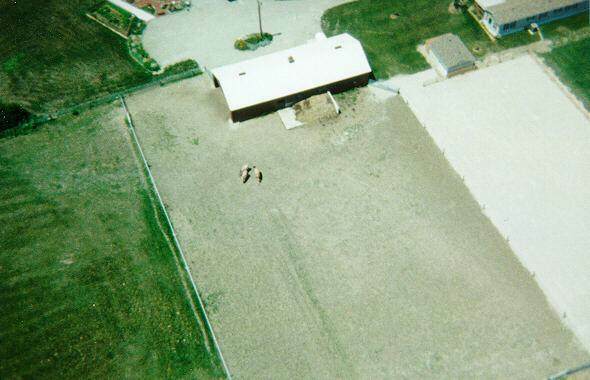 You can see the horses just below the bottom left corner of the barn. This view is from the west from about 400ft, over our neighbour’s corn field. The corn is a bit patchy this year. 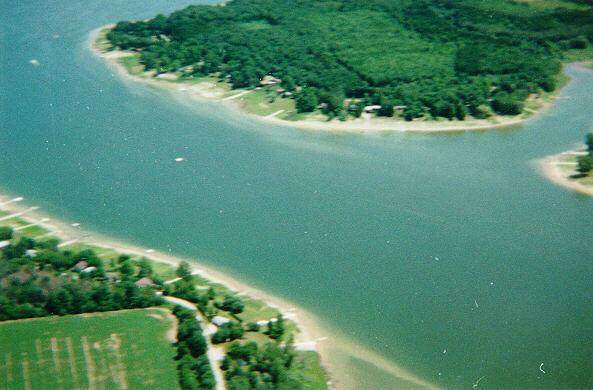 The Spring Creek area of Conestogo lake, from about 1000ft, looking south. 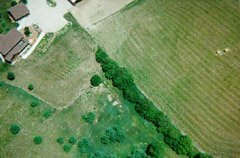 The flat green area is our back field. 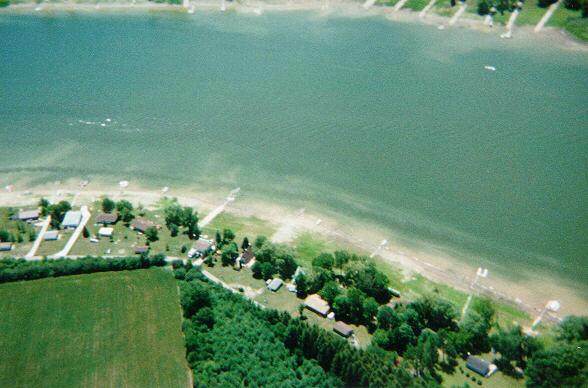 Another shot of Conestogo lake, looking east. The area at the top left corner is the beginning of the main part of the lake. 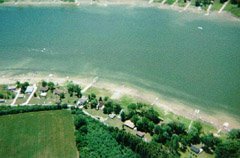 If you enjoyed these photos, you might also want to take a look at A Collection of Aerial Photos and Winter Aerial Photos. There are also some very interesting aerial photos taken from a full-scale airplane in my Aviation Photo Gallery. Excellent articles and super pics of your place. Thanks for sharing them. I live on the Columbia River in southwest Washington USA.